I write stuff. I do stuff. Some of it's even cool. Here’s Part 11 of endnotes for The Essential Guide to Warfare. The Rebel Military: Paul Urquhart writes: “Sharp-eyed fans will recognize details from old RPG material and flight-sim computer games - the Airam Clans, Commander Harles, ‘rogue’ squadrons in the plural. These are interspersed in the narrative to suggest some depth to the casual reader. 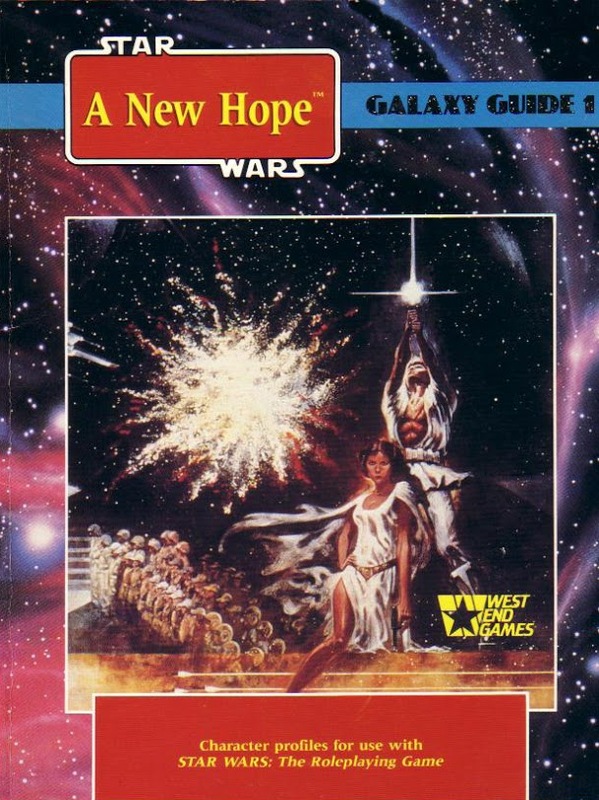 “The opening statistics are extrapolated from RPG sourcebooks, but designed more to give a ‘feel’ of the numerical weakness of the Rebellion than to serve as hard numbers. The basic concept here is that the inability to challenge the Empire head-to-head dictates how the Rebels have to win; shifts of emphasis between various stories have been interpreted to show how their way of waging war evolved - sometimes painfully - over the course of the war. Hopefully, this ties the various conflicting perspectives involving Mon Cal into a relatively pretty knot! Death Squadron and the Navy Resurgent: I think this section is a good example of what I hoped to do with Warfare, and how that approach was different than what would have been dictated by a focus on numbers and tactics. The discussion here is about how the destruction of the Death Star returned the Navy to its dominant role within the Empire, yet left the Empire vulnerable — the Emperor eliminated the Senate because he had the Death Star to keep rebellious star systems in line, but now the Death Star was gone and the destruction of Alderaan had ignited the fires of rebellion all over the galaxy. So how did the Rebels exploit that? And how did the Empire respond? Warships, battle stations and battle plans are all part of that answer, but the broader picture is what’s most interesting. Digression Time: Here’s a discussion I should have included earlier in the endnotes, but better late than never: Think of the Death Star as the Empire’s attempt to combat the “stateless” strategy employed by those who would contest galactic power. Military force is limited by the speed of hyperspace travel and the enormous size of the galaxy, which gives the stateless strategy its effectiveness, but fear is not so constrained — provided that fear is existential. Hence Grand Moff Tarkin’s Doctrine of Fear, and the battle station that embodies it. Along those lines, Warfare’s cut material included an in-universe profile of Tarkin. As you might have guessed from the earlier discussion of Romodi, I’m fascinated by the Death Star briefing scene in A New Hope, and by Tarkin and his relationship with Darth Vader. I think that’s a good summary of Vader’s role in the popular imagination, but a poor summary of his role in Episode IV — and unfortunately, that summary shaped the portrayal of Vader and key events in the Expanded Universe, closing off a number of very interesting storytelling possibilities in favor of more obvious fare. Vader is a faintly pathetic figure in Episode IV, and indeed in the entire classic trilogy. Trapped in an ambulatory iron lung, he’s “more machine than man,” his Jedi acrobatics decayed into clumsy hammer blows, his very existence mocked by sneering careerists like Motti. And Tarkin treats him like an underling — he calls him “Vader” and orders him around. Now, recall that when A New Hope took shape, Emperor Palpatine was more a Nixonian politician than a Sith Lord, out of touch and controlled by bureaucrats, and the Star Wars novelization says Tarkin’s ambition is to be Emperor. Now we can see Vader’s more likely role: With the Emperor shut away and out of touch, he’s been sidelined as a Sith relic and is trying to ride Tarkin’s coattails back to power. Tarkin sees Vader as a useful henchman, but clearly hasn’t made him any promises, which is why Motti feels free to challenge him so publicly and brazenly. tries to betray his master by playing a double game in The Empire Strikes Back. He does betray him — though for very different reasons — in Return of the Jedi. So why assume he’s loyal in A New Hope? 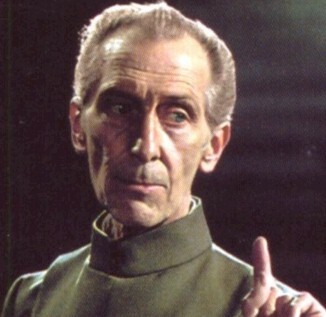 So there’s Tarkin, a proud son of the backwater world of Eriadu, in control of “the ultimate power in the universe.” What does he do with that power? He doesn’t destroy what he thinks is the headquarters of the Rebel base. Instead, he incinerates a major Core world. On whose orders? And if Tarkin hadn’t been distracted by infiltrators carrying the plans for the Death Star, where would he have taken his battle station next? My guess is Coruscant, for a showdown with Palpatine. Now think about the other questions this raises. How does Vader go from an unwelcome henchman aboard the Death Star to the terror of the Imperial Navy? Is there a reckoning between him and Palpatine? How much does Palpatine know of the desires of men such as Tarkin and Motti? And how did the Death Star plans get to the Rebels anyway? In that, I contend, there’s a great Star Wars tale that’s been partially obscured but could still be told — a marvelous story of ambition and betrayal, calculation and overconfidence. Maybe someday! The Executor: A lot in here for fleet junkies to chew on, from the mysterious Mandators to the various-sized Executor prototypes to the refit of the slang term “Super Star Destroyer” and the debate within the Empire about the right mix of capital ships to police the galaxy. I left the exact number of Executor-class ships vague on purpose, and hope the discussion of black budgets and intelligence uncertainty makes that seem like a convincing in-universe assessment rather than a cowardly out-of-universe punt. If you’ll forgive a moment of fan pique, I still think the Lusankya erupting from underneath the cityscape of Coruscant might be the goofiest thing in the entire EU – the only way it could be goofier would be if her bridge crew were Jaxxon, Reist and Waru. I mean, really – how would any of that have worked? Battlecruisers: The battlecruiser class was both interesting and perilous. It was introduced into canon by Revenge of the Sith: Incredible Cross-Sections, though the members of this class can be counted on the fingers of one hand. The way I imagined it, the battlecruiser was neither fish nor fowl, lacking the versatility and cost-efficiency of the smaller, ubiquitous Star Destroyer and also lacking the psychological impact of the Empire’s biggest dreadnoughts. Battlecruisers exist, but relatively few were built. Having said that, it was fun to reach back to Marvel to show one – Admiral Giel’s previously unnamed flagship, based on early production art of the Executor. Note that a Star Cruiser is defined here as a battlecruiser at the smaller end of the class – an idea suggested by Tzizvvt78, one of our TFN test readers. I liked that approach because it accounted for the reference in continuity to Star Cruisers, but did no damage to how the old, well-established WEG cruiser class was incorporated into the new Anaxes system. My idea for explaining why Luke asked C-3PO and R2-D2 if they were on a Star Cruiser wound up on the cutting-room floor, though. The Grand Admirals: Note the quick reference to the Grand Generals. I didn’t do more with them because frankly I think the more these ranks get populated the less interesting each individual becomes. the old Star Wars Kids magazine. Tarrin Datch and Tenk Lenso are from Galaxy Guide 3. Dash Rendar got added (somewhat awkwardly) to the battle in the Shadows of the Empire video game. Tarn Mison is from Decipher, referencing an extra played by ILM’s Michael Pangrazio, but his role in the battle is new. 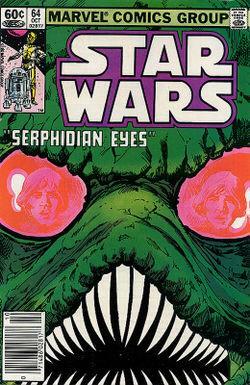 Cinda Tarheel is from Marvel #64, the immortal “Serphidian Eyes,” after which she was never seen again. 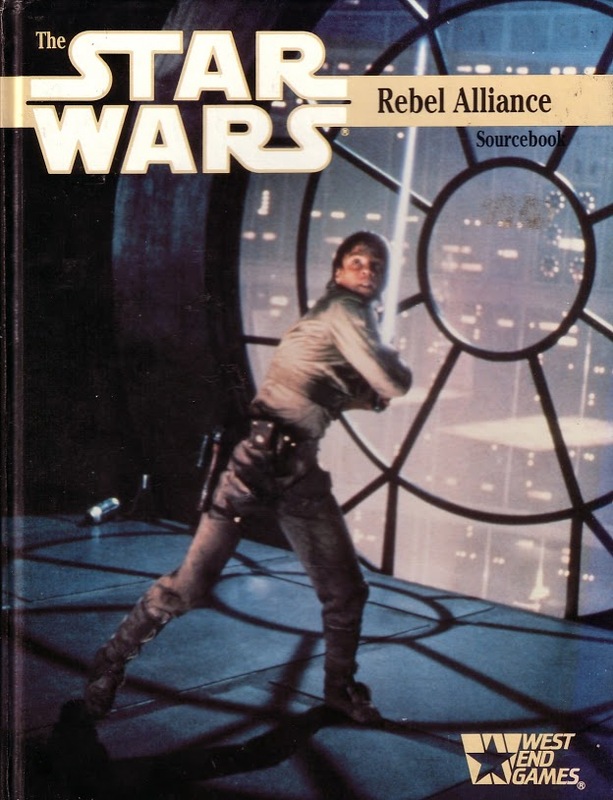 Stevan Makintay is from Star Wars Adventure Journal #8. 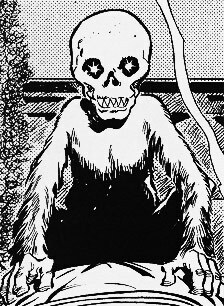 Barlon Hightower is from Marvel #78, the equally immortal “Hoth Stuff.” Vigrat Pomoner, Stax Mullawny, Hosh Hune and Jek Puglio are all new characters.